The Elephanta island near Mumbai is a famous tourist spot for its caves but little does one know that there is also a fort on this very island. 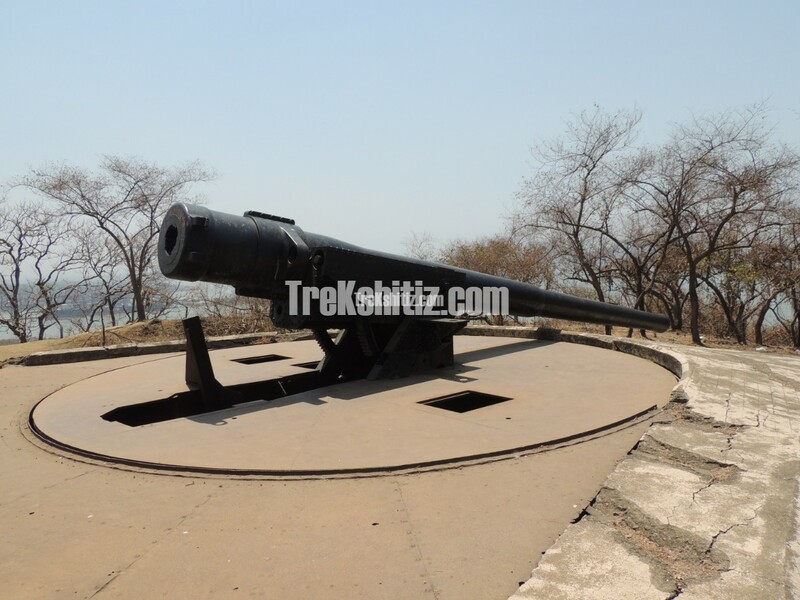 This fort and its two canons date back to the Britsh era but history suggests that there might be a fort since the ancient times as well but sadly its remnants aren�t visible today. A scripture found in Aihole town of Karnataka reveals that Pulkeshi Chalukyas won the place of Puri in the early 7th century which was the capital of the Mauryas of Konkan. It also says that Puri resembles the Goddess Lakshmi of the western seas and which looks like mighty Elephant. Pulkeshi laid a siege to this island by hundreds of ships. Puri is also referred as Gharapuri. After the Mauryas of Konkan the rulers which had their control over this place were the Chalukyas of Badami, Shilahar, Rashtrakuts, Chalukyas of Kalyani, Yadavs of Devgiri, Sultan of Gujarat, Portuguese, Marathas and British. The Portuguese which arrived in the 15th century ruined the caves on this island. The Marathas took over after them and later the British built a fort on it taking into consideration its proximity and protection for Mumbai. we come across remnants of some structures. The second canon is also 35 feet in length and has the same movement mechanism as the first one. It is assisted by a pulley to pull it up from the ammunition chambers built under it. Here too there are barracks for soldiers. From this fort we can see Dronagiri fort to the east and Khanderi-Undheri forts to the south. There are many ferry services from The Gateway of India in Mumbai during 9 am to 3 pm and the last ferry from Gharapuri bound for Mumbai is at 6 pm. It takes nearly one hour to reach Gharapuri by ferry boats from The Gateway of India and further 30 minutes to One hour from the jetty to the caves. Where the steps end the path splits in two. The one to the right goes to the Canon on the fort while the left leads to the caves. MTDC hotel is located on the path to the Canons. It takes about 15 minute walk on the right path to reach the fort. 2 to 3 hours are enough to visit both caves and the fort.